When the photo below was taken in 2009, many people agreed that the then United States First Lady had broken a major British royal protocol. 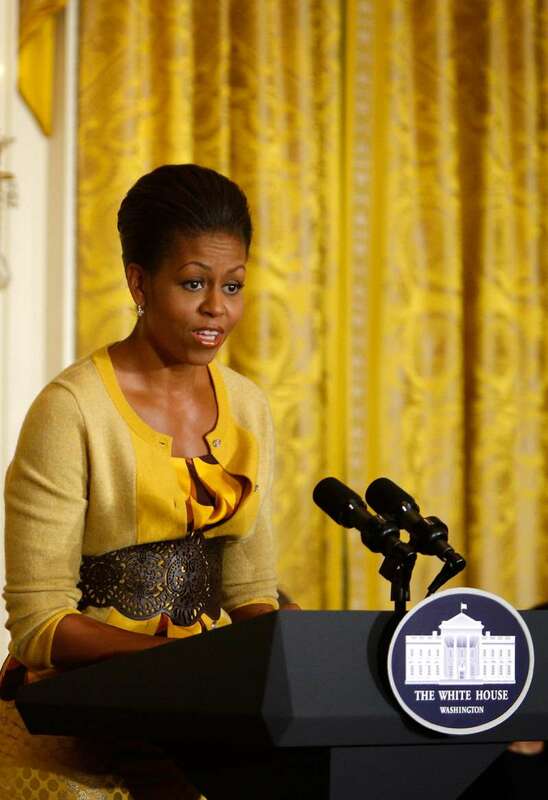 Michelle Obama has finally come out to explain the circumstances in the picture. The picture was taken on April 1, 2009, when Barack Obama and his wife made their first ever visit to the UK as POTUS and FLOTUS were to attend the G20 summit. 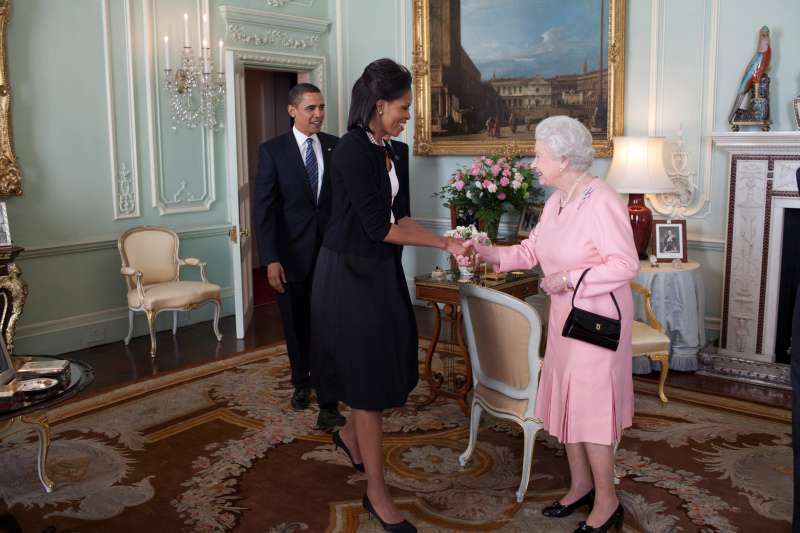 In one of the photos taken during the occasion, Michelle Obama could be seen putting her arm around the Queen's shoulder. The monarch must not have minded because she responded by putting her own arm around Mrs. Obama's waist as they stood side by side. Two tired ladies oppressed by our shoes. In an excerpt of the book provided by the BBC, she revealed that even though many thought the moment was unique and historical, she simply did what came naturally. I did what's instinctive to me any time I feel connected to a new person. The Queen then glanced down at the pair of black Jimmy Choos I was wearing. She shook her head. 'These shoes are unpleasant, are they not?' She said. She gestured with some frustration at her own black pumps. Michelle Obama wrote that she admitted to the Queen that her feet hurt, a feeling she said Her Majesty could relate to as well. We looked at each other then with identical expressions, like, when is all this standing around with world leaders going to finally wrap up? And with this, she busted out with a fully charming laugh. 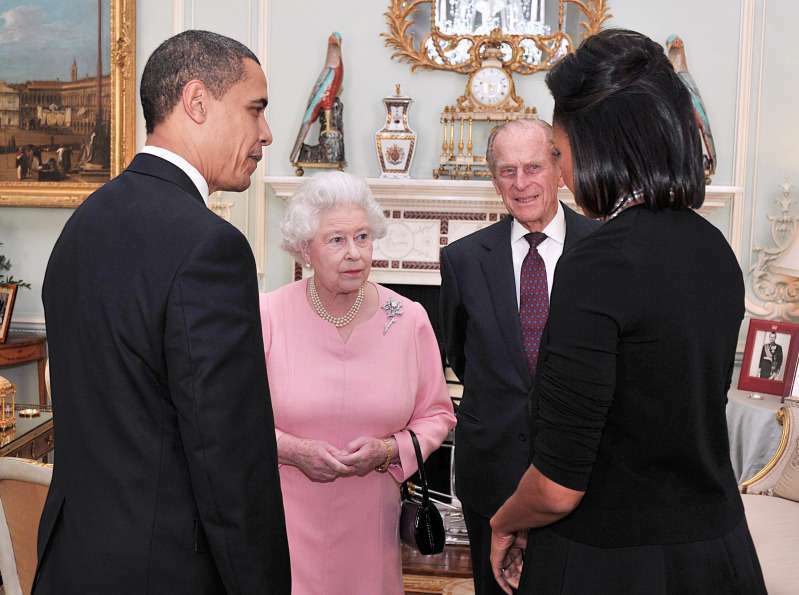 Mrs. Obama said it was at this point that she laid a hand on the royal's shoulder. At the time, she had no clue that following her instinct would end up making headlines as the first time an American First Lady breached British royal protocol.